This past Sunday was the coming out party for Aaron Jones. Granted, many fans in Packer Nation already knew he was the best running back on the roster and should’ve been carrying the working load. 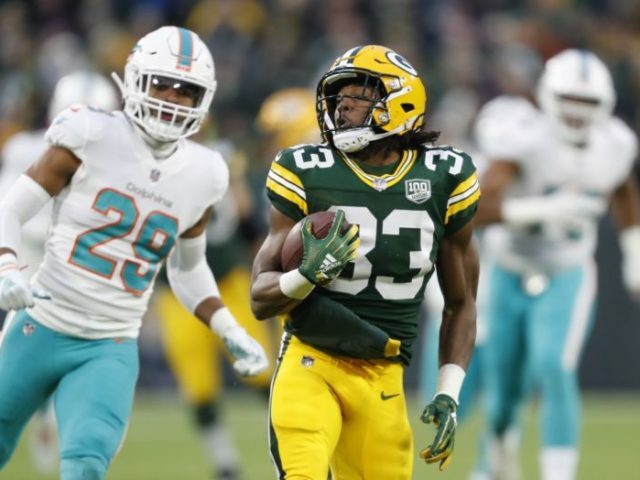 On Sunday afternoon against the Miami Dolphins, Aaron Jones finally got his opportunity. Jones turned 15 carries into a career-high 145 yards and 2 touchdowns. He averaged 9.7 yards per carry. It was obvious, the more Jones was involved in the offense, the more productive it was. Jones carried the ball over 15 times only twice before in his young career. Both of those games occurred last year. Against the Cowboys, he carried the ball 19 times for 125 yards and a touchdown. The other time was against the Saints where he had 17 carries for 131 yards and touchdown. Every time Jones gets 15 or more carries in a game, he runs for over 100 yards and has at least one touchdown. The optimal number of touches Jones needs in this Packers offense appears to be 15 – 20. Against Miami, Jones had 18 touches for 172 yards of the 382 total yards the Packers offense generated. He was an integral part of three offensive drives on Sunday. When McCarthy went away from Jones, the offense seemed to stall and not be productive. It’s now up to McCarthy to utilize one of his best offensive weapons to get keep the pressure off of Rodgers and open up the offense. 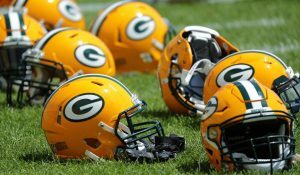 The way that this year’s Green Bay Packers team is built, they simply can not be so reliant on throwing the football. They do not have the receiving weapons as they did when they had Donald Driver, Greg Jennings, James James and Jordy Nelson. For this years’ team to be successful, they need to have a more balanced offensive attack. It will never be a 50/50 split, and it shouldn’t be with Rodgers at quarterback. A 60/40, pass/run split, would be the optimal scenario for a quality offensive output this year. Jones is a rising star and the rest of the league is now aware. McCarthy now has to consistently provide Jones with the opportunities to be the workhorse. This entry was posted in Anthony Haag, Packers 2018-2019 Season and tagged 2018 Green Bay Packers, 2018-2019 Green Bay Packers, Aaron Jones, Packers running backs. Bookmark the permalink. I’ve been been thinking the same. I’m a Rams fan but I enjoy watching Rodgers play the game. Objectively watching this team it’s so obvious that Aaron Jones is THE running back for this team. They have to feed him the rock at least 15 times a game. They also have to figure out what to do about the receiver situation. I think 4 years ago ESPN did an article about how the Packers had the slowest group of receivers in the NFL and that the average QB would need an extra split second to pass with this group of receivers but Aaron Rodgers seem to make it work because he’s so good. 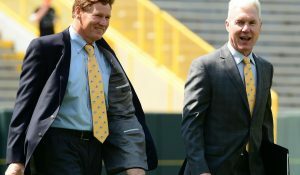 I think the Packers need to address their receiving Corp as well. Every team in the league scores more points passing than running. The four teams left at the end will all have very good passing attacks. It’s a week-to-week deal. Jones had a really good game last week, and I’m happy for that. I also understand that Seattle’s run defense is actually weaker than Miami’s on the year (true fact). So if Jones could have another 100+ yard game without any glaring miscues, then I’m all for giving him the rock. I hate the “slow receivers” narrative because it’s not true. If you can create separation and make difficult catches then you’re plenty fast enough. I watched Fred Biletnikoff and Bob Hayes and I’d take Biletnikoff every time. The Packer receivers are plenty fast enough, and Rodgers is plenty good enough. But they have to quit dropping the rock. The 17 passing TDs we have is right ahead of Minnesota and even with New England. Our passing game has good enough personnel to succeed, IMO. You probably know the team a whole lot better than I do but when I observe it from the outside looking in it seems like the weakness has been relying on Rodgers a bit too much to carry the team. I’m not a fan of the coach and I think he doesn’t make good decisions during games. Jones looks like a potential star to me because of the way he gets upfield so quickly and the fluidity in his hips as he evades tackles. I watch Todd Gurley every week and the Rams feed him the rock as much as possible. The Rams lose more games than often when they don’t feed Gurley the rock. I think Jones is that dude. 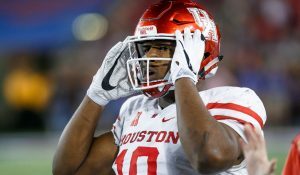 He might be worth giving the ball to at least 20 touches a game because of his ability to get yards. I wish Jones was Gurley but I don’t think he is. And we do put too much on Rodgers, you’re on target there. I think there is an assumption that Jones can have games like that more often and moments like New England less often. Perhaps he can, but he hasn’t really done that so far.